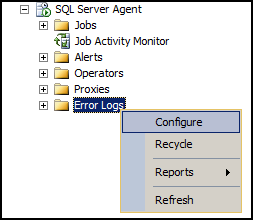 SQL Server error logs can fill up quickly, and when you are troubleshooting something you may need to go through huge log. However you can cycle the error log to manage the amount of log you need to go through. When you cycle error log the current log file is renamed from ERRORLOG to ERRORLOG.1, ERRORLOG.1 is renamed to ERRORLOG.2 and so on. 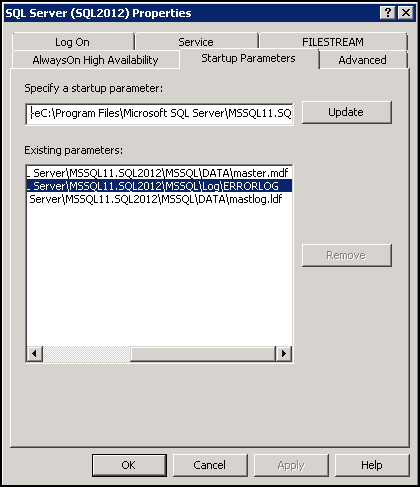 Restarting SQL Server will cycle the error logs. You can also use sp_cycle_errorlog to cycle error logs without restarting SQL Server. You can verify that the log has cycled using Management Studio or you can use xp_ReadErrorLog also. Same effect can be achieved by using DBCC ErrorLog. In fact, sp_Cycle_ErrorLog calls DBCC ErrorLog to cycle error logs. DBCC ErrorLog and sp_Cycle_ErrorLog only cycles SQL Server error logs. It does not cycle SQL Server Agent error logs. In order to achieve this you can restart SQL Server Agent or use another stored procedure sp_Cycle_Agent_ErrorLog. You can verify that the SQL Server Agent log has cycled using xp_ReadErrorLog. * Use sp_helptext to see what is called from sp_Cycle_Agent_ErrorLog. 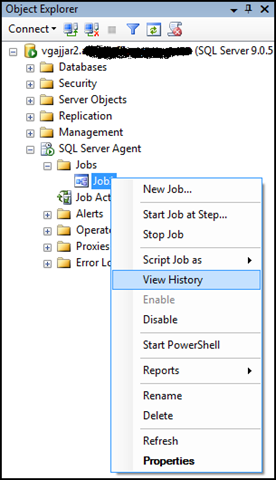 To check SQL Server Agent Job History you can use the Log File Viewer from SQL Server Management Studio. Check dbo.sysjobs and dbo.sysjobhistory on BOL for more information.